Highgate Harriers was founded in 1879 by 16 members of two local cricket clubs, the Magdala and Imperial United, who occasionally ran in cross-country races and decided to form their own club. The club’s first run was reported in the Hampstead and Highgate Express on November 22 of that year. In 1888 the club won both the Southern and national cross-country titles and in the period up to 1912 it amassed four national gold medal-winning performances, four runner-up spots and a bronze medal. At the Southern, they had 12 victories and the club was never out of the first two. The most famous Highgate runner of that time was Albert Aldridge, who clocked 51:49 for 10 miles. The club ceased at the outbreak of World War I, but was reformed in 1919, thanks to the efforts of Harry Rothery, and had reasonable success for a few years. However, many more clubs were being formed and Highgate’s initial golden period came to an end. During World War II the club became dormant again, the only activity being race walking. The walkers, led by AD McSweeney, felt that they were the most successful part of the club and demanded that they should be a separate section. The club was split into two sections, each having its own committee and finances. The situation became even more complicated in 1954 when a women’s section, led by Charlie Warner, was formed. This arrangement survived for 26 years until 1980 when the club decided to reunite with all members under the banner of Highgate Harriers. In recent years the club has enjoyed superb team success. The women won the Southern cross country in 2004, finished third in the National in 2006 and have won the Metropolitan Cross League title nine times since 1994. The men won the coveted Southern trophy in 2012 and for the past three seasons have won arguably the hardest male cross country league title in the UK via 12-to-score rules, when they lifted the Metropolitan title. The men also won silver medals in 2014 at the national 6-stage road relay and secured bronze at the national cross-country relays marking their return as UK-wide contenders. 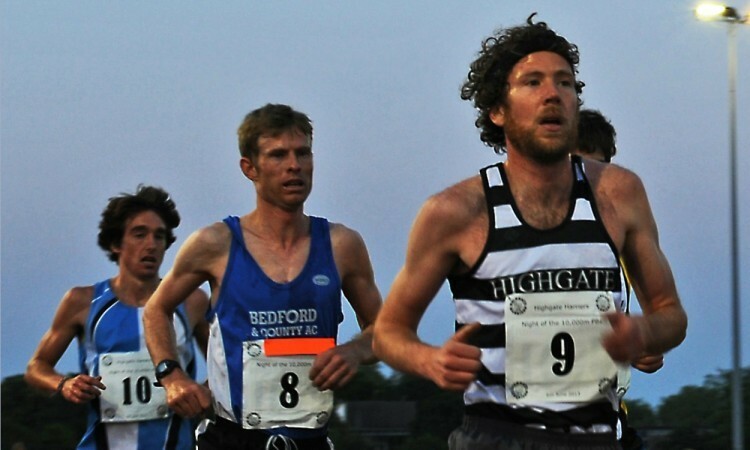 Many Highgate Harriers have gained representative honours including Simeon Williamson (2008 Olympics 100m), Ben Noad (GB team 2007 World Cross), Becky Penty and Richard Scott (England road representation) and Shaun Dixon (England cross-country team 2013). At young athlete level, Georgia Fear gained an England Schools cross-country call up in 2014 and Arnold Mensuoh won a national indoor silver medal at long jump. 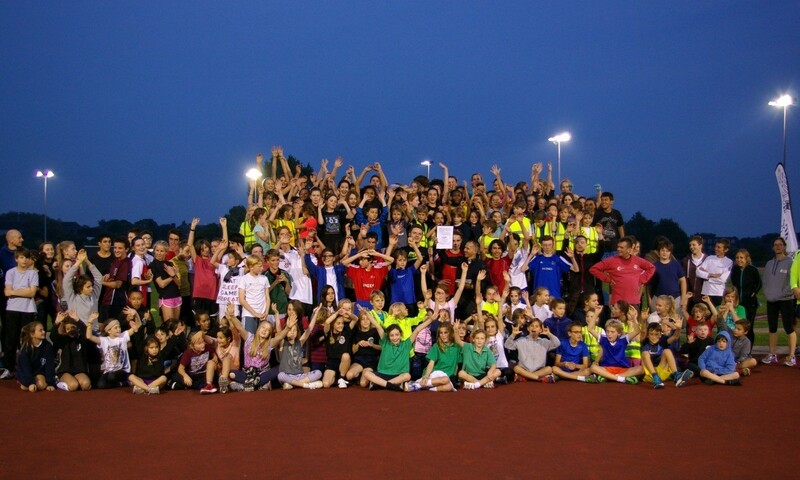 The spirit of Highgate Harriers is summed up by their annual “Night of the 10,000m PBs” where more than 70 volunteers help to host a night of racing that aims to prove how athletics can engage with a new audience. Ben Pochee is keen to invite clubs to join them in lane three on May 16 and cheer the runners to fast times, using the event as their club summer social. Only a few years ago club training nights were relatively low-key affairs, but thanks to the extraordinary efforts of club members, Kate Jenrick (president/ secretary) and Graham Norris (young athlete coordinator), Tuesday and Thursday evenings are now vibrant across most events. On training nights the younger girls are led ably by Sarah Chapman, Hattie Brock, Ashley Scott and Hannah Viner while Jon Deane, Chris Rainsford and Mick Duffy deal with the boys. The general track and field group is led by Alfred Williams and Natalie Alaphilippe with Kate Tilbury coaching the throwers. On Thursdays Highgate’s blossoming under-11s enjoy a fun introduction to athletics from 5.156.45pm led by Kate Jenrick, Penny Sekkides and James Ward. The rapidly expanding men’s middle-distance group tackles key seasonal sessions on a Tuesday set by Pochee, Jack Bayliss and Eddie Solomon. A typical spring session would be “down and up the clock” (1600m, 1200m, 800m, 400m, 800m, 1200m, 1600m with an emphasis on controlling the tempo and increasing the 400m pace by 1-2 seconds as the reps get shorter). On Tuesday and Thursday evenings Juliet Kavanagh heads the sprints, hurdles and jumps group and on Sunday mornings she oversees the junior and senior 400m as well as sprints and jumps.